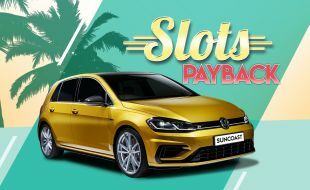 Exclusive to Suncoast Gold, Platinum and Black Rewards cardholders and is open to all 2018 Active Slots players. All these players will receive 1 FREE draw ticket for the car draw on 2 February 2019. Play your favourite Slots games to earn points for tickets to enter into the car draw. The more points you earn, the more tickets you receive! Prize winners will be selected by way of random electronic draw. Participants must activate their entry into the draw at the e-Hosts from 12h00, 1 February 2019 or on the day of the draw prior to the actual draw within the specified times during which the entry bins are open. The entry bins will open at 12h00 on Friday, 1 February 2019 and close at 20h30 on Saturday, 2 February 2019. Black/Platinum & Gold Cardholders stand a chance to win a VW Golf 7 2.0 TSI R DSG, Curcuma Yellow Metallic plus cash prizes.